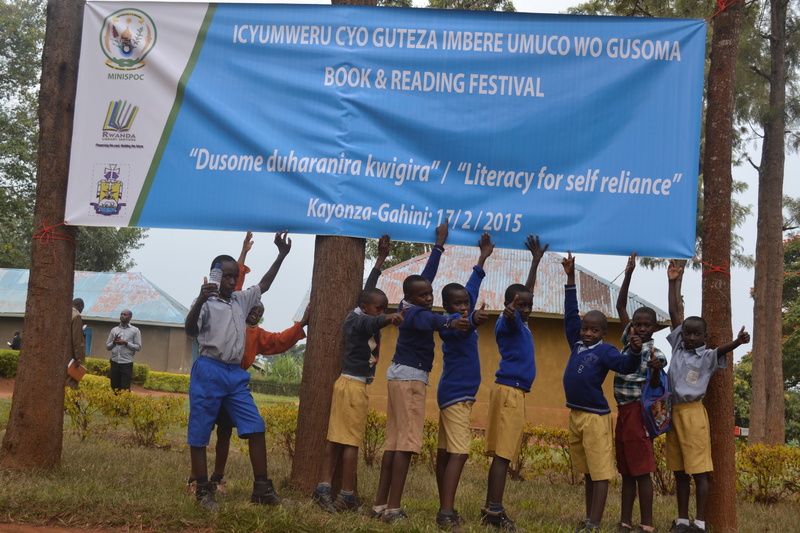 The Rwinkwavu Community Library/Learning Center in Kayonza district is playing an influential role in helping surrounding secondary schools to improve National exams performance through different opportunities for learning and skills training it provides. Surrounding Primary and Secondary School are organizing study trips and bringing the students to the RCLLC to spend time reading and practicing hands-on ICT skills training. This Tuesday 25th Feb 2014 the RCLLC received 30 students and two teachers from Groupe Scholaire Gishanda/ in Kayonza for a study visit at RCLLC. A common obstacle for rural Primary and Secondary schools is gaining the skills to have success in National Exams to move on to secondary school. The need for opportunities to access different resources and support what they are learning in school makes all the difference. 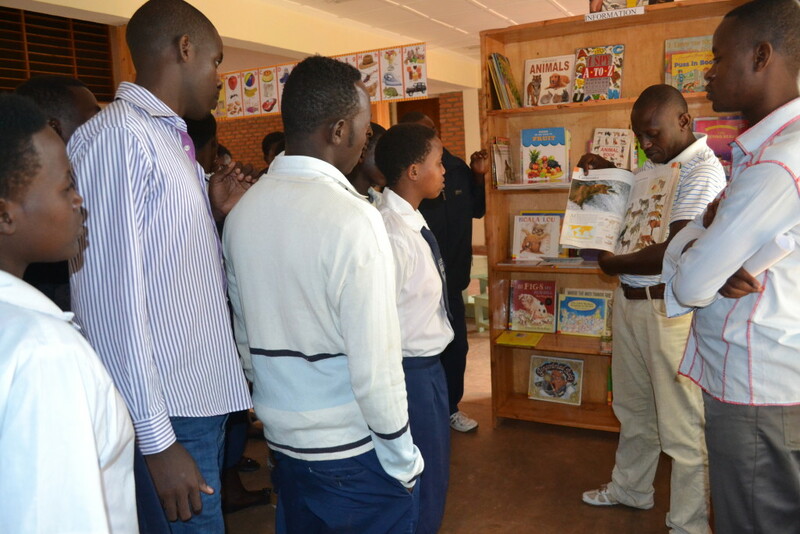 The students accompanied by the two of their teachers leading the trip had a tour of the whole library by RfR Program Manager, who explained the programming opportunities and services. The reading habits for children to grow up as excellent readers is enhanced the through E-reader program that Ready for Reading implemented in partnership with Worldreader. Jean Marie, the ICT & E-reader Program Manager had 30 min technical session teaching how to navigate the e-reader to be able to explore over 100 different e-books and enjoy a chance to sit and read. 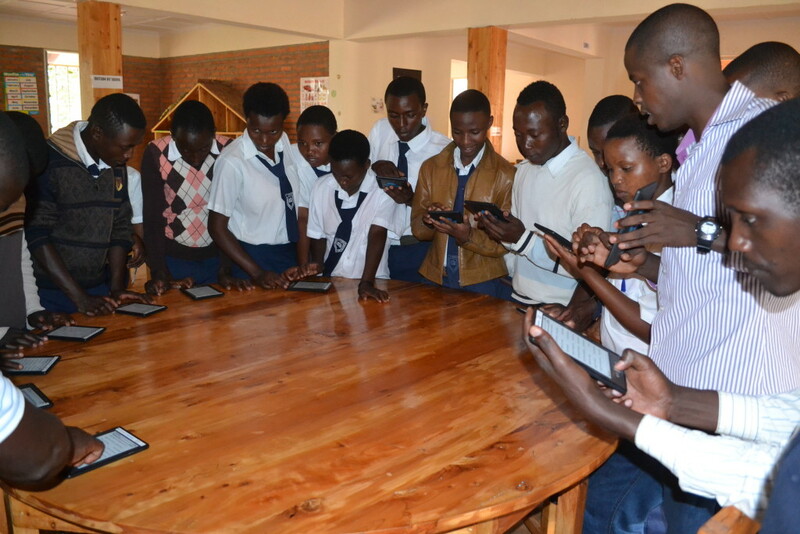 Everyone in Rwinkwavu sector interested in ICT is being trained through our ICT curriculum allowing them to gain computer proficiency and access to information. 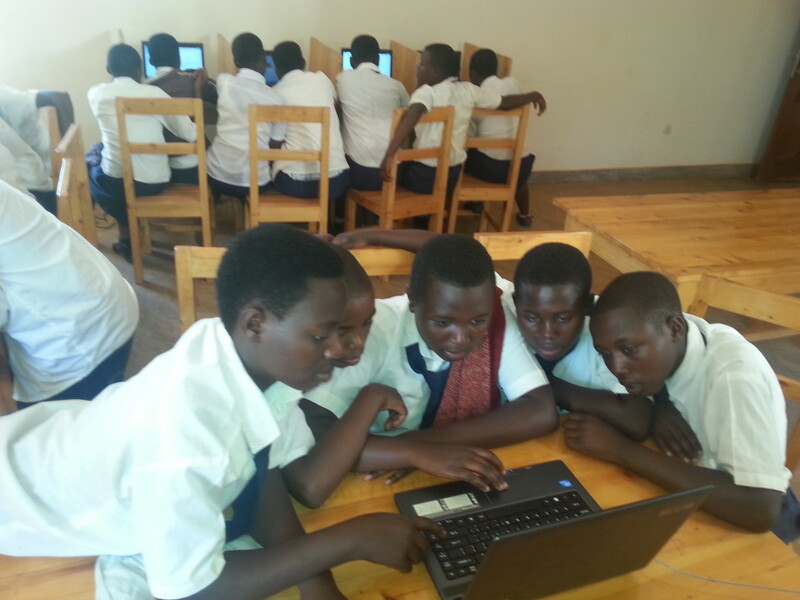 Since most Rwandan rural areas lack ICT infrastructure and computers, the RCLLC invites community members of all ages to participate in our comprehensive ICT curriculum and hands-on training. With these skills and access to global information Rwandans, especially the young generation, are interested in taking advantage of the educational and job opportunities computer literacy makes possible. The RCLLC Open Library offers different opportunities for all ages and we have many reading activities for youth. 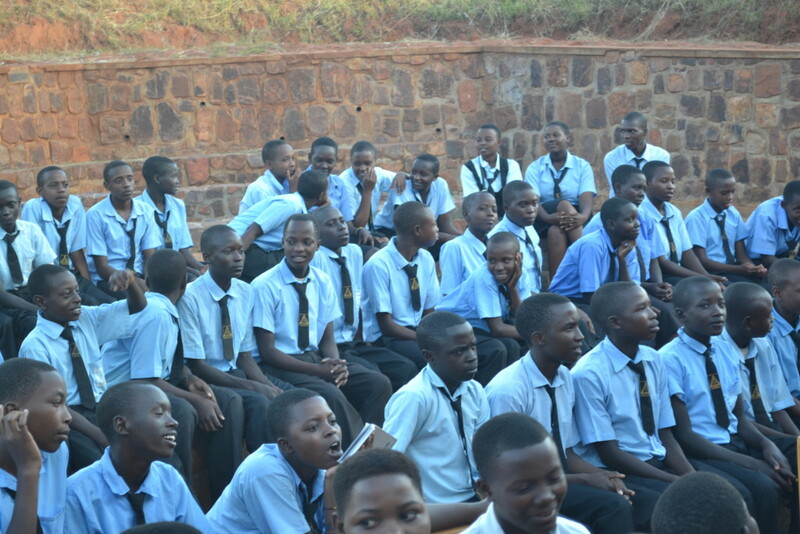 Apart from ICT and reading services provided by Rwinkwavu Community Library, the library also offers entertainment for children. They participate in different games like basketball and mind games and puzzles that help them relax after their active days. 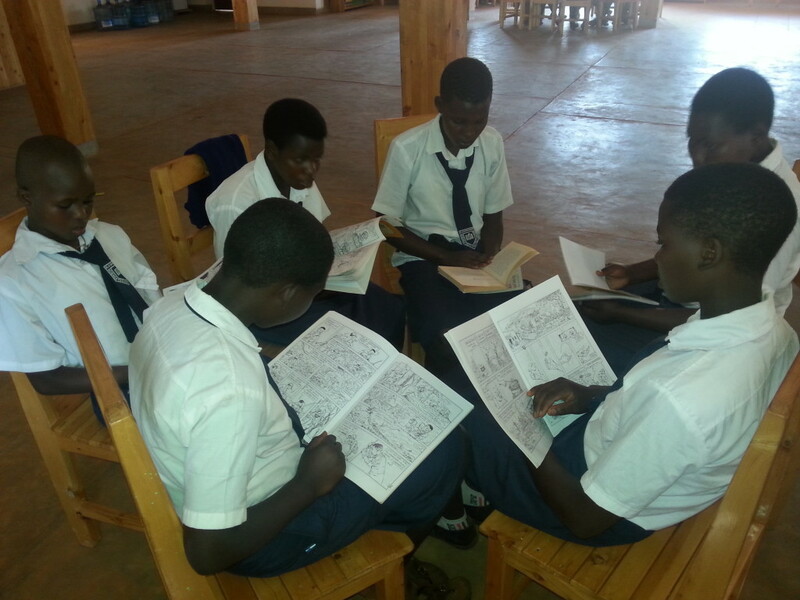 After the Rwinkwavu Community Library/Learning Center tour the students had two hours to visit and enjoy the library according to his/her interest in all the programming. They immediately divided themselves into groups: One groups wanted to enjoy Open Computer Lab and another group wanted to deeply explore the library books. Two hours of personal practice in the computer lab, with the instruction of a teacher and RfR ICT Program Manager, enabled the students gain momentum in their acquisition of computer literacy. The Ready for Reading team attended a fabulous Community Library exhibition in celebration of “Literacy Week” The teachers, parents and librarians were encouraged to engage young students in reading and learning activities and take advantage of the opportunities and resources these community Libraries offer. The event, held at HEWITT Library, invited children from surrounding schools to come and join the library in celebrating literacy week. 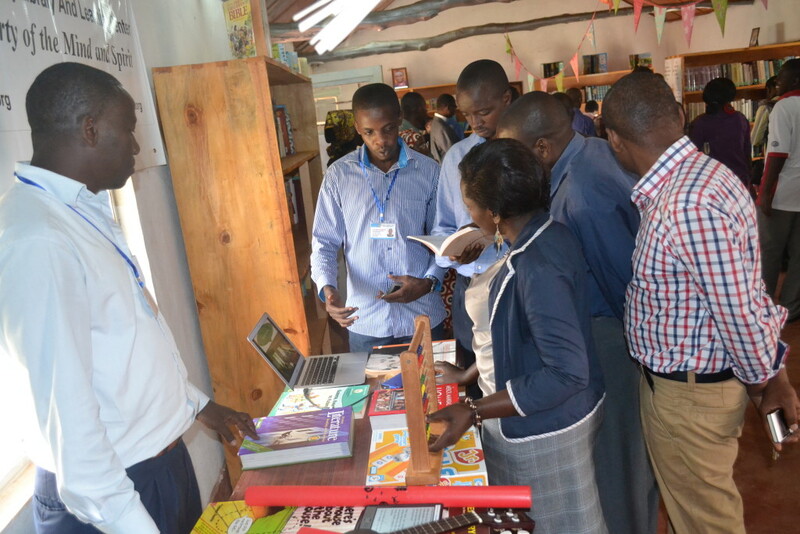 At the event, the RfR/Rwinkwavu Community Library and Learning Center team presented different reading, learning and cultural education activities for youth and adults, all aiming to empower the community through Reading and Learning. The Rwanda Library Services was represented by the Outreach & Extension Coordinator, Olivier Karambizi, who was also representing Ministry of Sport and Culture. He gave a short speech encouraging children, parents and teachers who were present to improve the culture of reading. An awards ceremony was also held for the 3 of the students who performed well in the reading competition at the HEWITT community library. 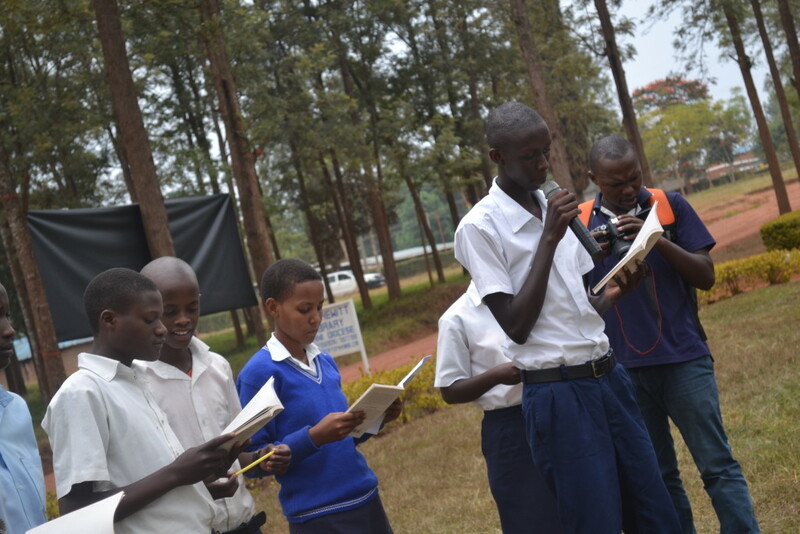 They were given a short time to speak in public about what book they had read and what lesson they learnt which could be useful to them and encouraged to read more.